Unger is the Innovator in Bakery and Deli Packaging Design. For over 90 years we have been guiding our customers with thier custom packaging. 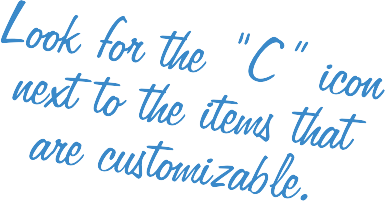 With our 'Customize It!' program you can see which products in our catalog that allow for custom printing. We have options of complete custom printing or post printing. If you are browsing through our catalog and see that one of our stock items would look great with your brand, give us a call. If there is a specific product you are looking to create but you do not see it in our catalog, we can still help you.